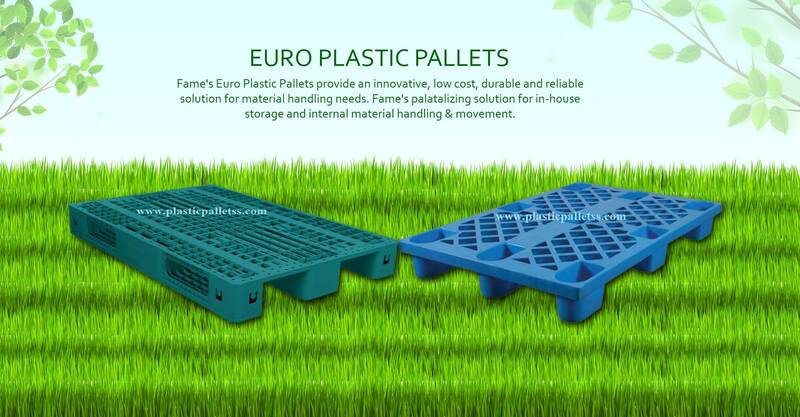 Fame storage is one of the reputed company engaged in manufacturing, wholesaling and trading of Plastic Pallet, Crates and Boxes. Our qualitative assortment of products includes export pallet, warehouse pallet, industrial pallet. Our range is extensively admired for their excellent strength, recyclable nature, perfect finish, scratch-proof finishing, trendy design and is widely used for various household purposes. are available in customized shapes and dimensions to leave no room for objections by esteemed clientele. Our efficient marketing strategy, the decades of expertise and client-centric approach has also served us in catering to the requirements of a wide clientele in the market. As a result, our products have found a great demand in the market by several patrons across the nation. Our latest infrastructure is one of the superior reasons for the premium quality levels we are able to maintain in our line of products, while our wide delivery network is practical in enabling timely delivery of the products. Having developed a well-equipped production unit and an in-house design unit, we have been able to satisfy the precise requirements of our valued clients. Our sound infrastructure, impeccable range, customization abilities and timely delivery of consignment have gained us a large clientele across the country. Our team includes experienced professionals who utilize premium quality raw materials to build a complete acquiescence matching up with the international quality standards. We possess an exceptional example of producing highly useful and quality products at affordable prices as per customers needed quantities within the solicited time frame.